New cafes pop up in the Yanesen area all the time. One peculiar new cafe since 2013 is Hagi Cafe (or Hagiso 萩荘), it is a community/art project, rather than just another cafe. It is housed in a not-so-old but old-enough traditional building that used to have apartments, built in 1955. Its history goes back as a resting place next to Sorinji temple (still next door), there since 1701, that is called the Hagi temple due to the Japanese clover bushes (hagi in Japanese) on the temple grounds. The building is completely black, which makes it stand out in the neighbourhood. Hotel (called Hanare): the concept is that they have the reception desk and the breakfast served at Hagiso, but the actual room is at a different place in town, the bathhouse is at yet another location. So your hotel becomes the town, not just one building. The art exhibition space, directly connected to the cafe. The building was scheduled to be demolished in 2011 after it had seen its best days with the 2011 earthquake as the trigger. As during that time, also a traditional bathhouse suddenly disappeared, people from the community came together lamenting the steadily disappearing Tokyo scenery. This was a group of 20 students and artists who used the occasion to host an art exhibition in the building before it was demolished. However, as the exhibition proved popular with 1500 visitors over 3 weeks, the value of the location was recognised and the demolition plans were cancelled. The interior of the cafe, popular with a young crowd. A very good thing that the place lives on. The wooden interior feels extremely comfortable. As a living space the café is an ideal space to relax with a coffee and some pastry. The quality of the items that are served is extremely high. 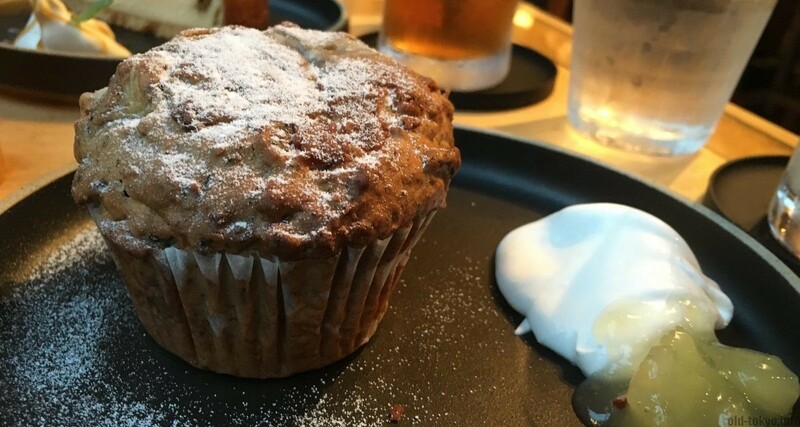 I absolutely loved the muffin I had. It’s a pity there aren’t more spaces like this in the area. As a Belgian I am used to wooden interior bars where you can have a nice time and I found this type of feeling here as well. 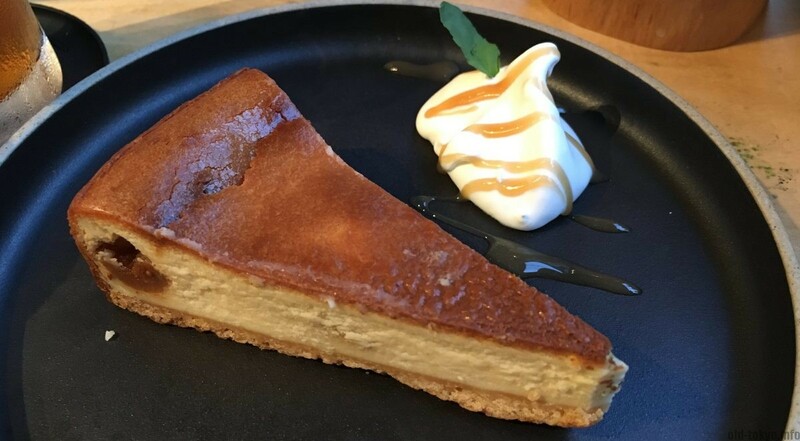 Apart from the cafe (from 12:00), they serve a Japanese-style breakfast in the morning, mainly targeted towards their hotel guests, but anyone can join from 8:00 until 10:30 (last order 10:00). From 18:00, a special dinner menu is available. Events are also regularly organised, from morning concerts to lectures. Check their website for the latest information. When to best visit? 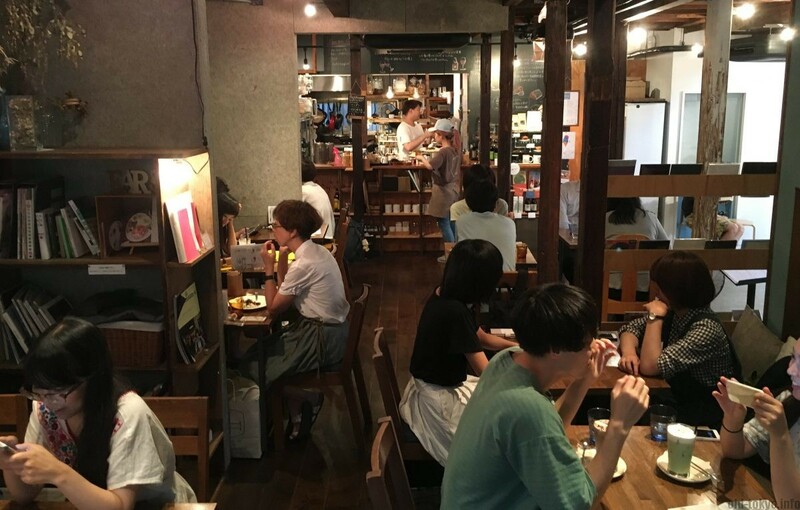 The cafe can get very crowded, especially in the afternoon on holidays. Best to visit on weekdays. If you need to go during the weekend, go after 18:00. Why visit? Atmosphere of an old wooden Japanese house, cozy warm place for a break. Places to visit or things to do in the area? It is right in the centre of the Yanesen area, very close to Yanaka Ginza, Kikumi Senbei shop, Daienji, Zenshoan temple.